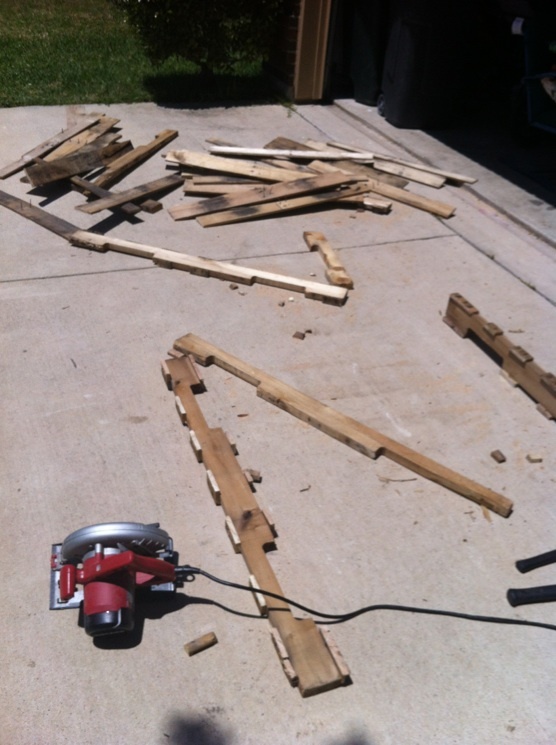 Show Me Pallets …transformation …Mother’s Day surprise! Pallets, pallets, pallets! Have you pinned a pallet transformation? We have, there are so many great ideas and we just had to share what Kathy’s son-in-law Josh created for her daughter while she was away in Midland celebrating Mother’s day. 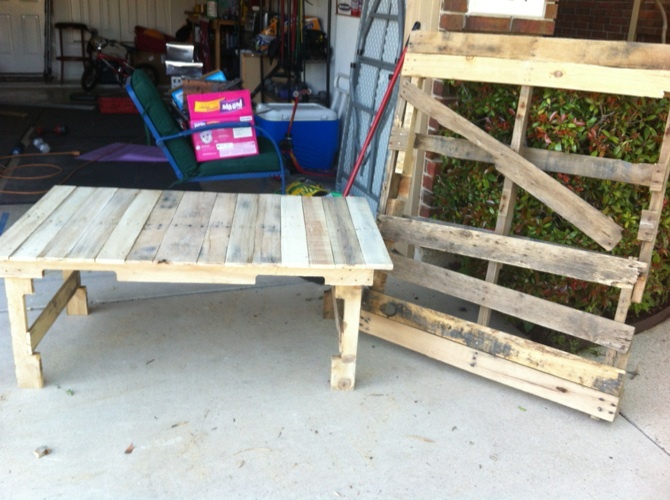 Amanda had collected some pallets from a friend and made a suggestion to Josh for her Mother’s day present! So Josh did what all good husbands do, he went to work! Do you see a piece of furniture? Josh must have the ability of a stone carver to see a patio table for Amanda is this junky wood! 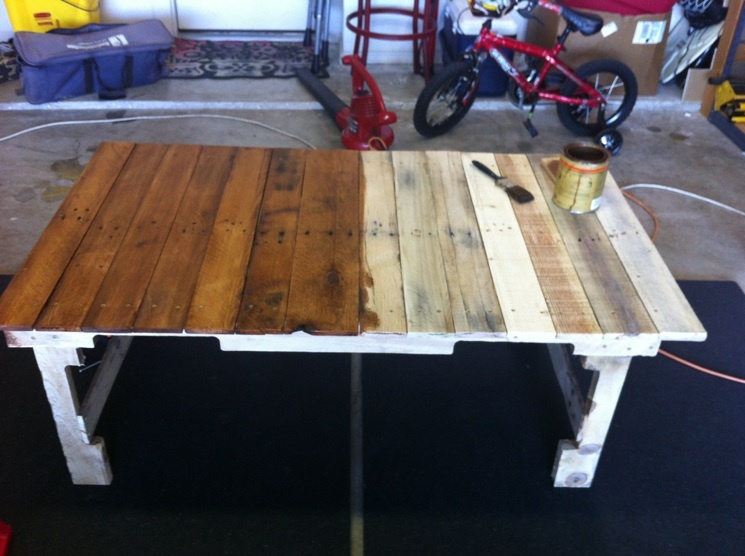 Stain you pallet project to allow the variety of wood colors to be enhanced. Follow directions on product . 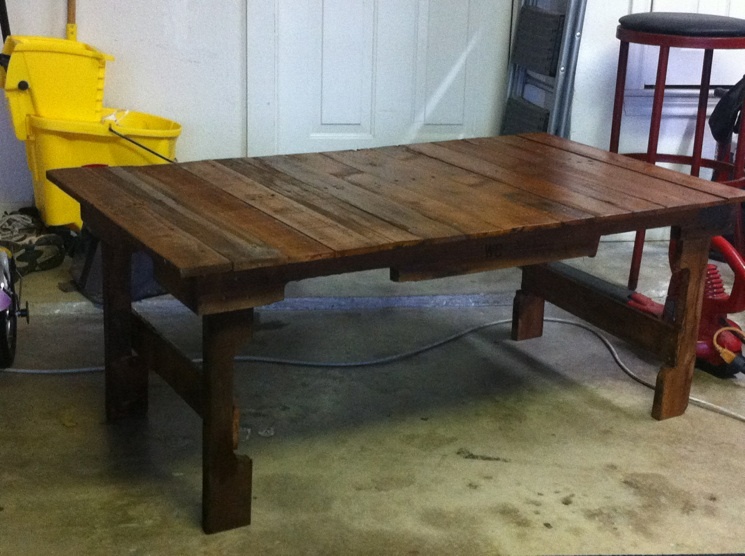 The table would also look great painted your favorite color, distress it with sanding and then finish with a coat of swipe on poly ! 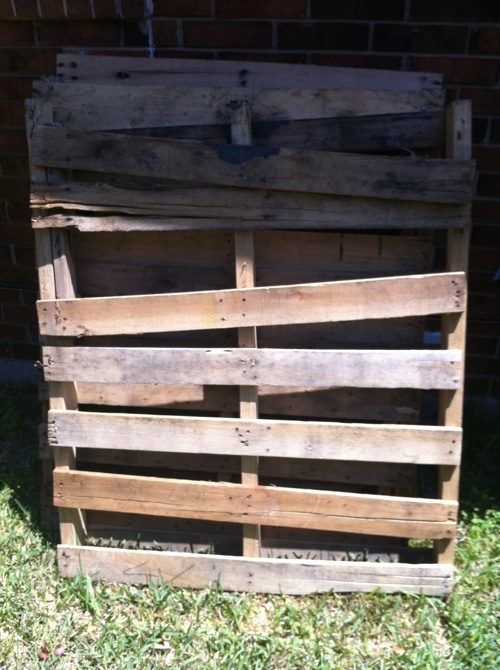 Next time you see that pallet being thrown away, look close because it could be your next…??????? Thanks Amanda and Josh for sharing your project!